In 1900, while excavating on Crete, the charismatic Victorian archaeologist Arthur Evans unearthed inscribed clay tablets amid the ruins of a lavish Bronze Age palace. Written by palace scribes in about 1450 B.C., the script they contained—featuring outline drawings of swords, chariots, horses’ heads and other tiny pictograms—resembled no alphabet ever seen. Evans named the script Linear B, and from the start it posed a deep mystery. No one even knew what language Linear B recorded, much less what the curious inscriptions said. If the tablets could be deciphered, they would open a portal onto a refined, wealthy and literate society that had flourished in Greek lands three thousand years earlier, a full millennium before the glories of the Classical Age. This is the true story of one of the most mesmerizing riddles in history—the quest to decipher Linear B—and of the three brilliant, obsessed, and ultimately doomed investigators whose combined work would crack the code. There was Evans, who discovered the script but could never unravel it; the fiery American scholar Alice Kober, whose work made the decipherment possible but who was denied the recognition she deserved; and the haunted English architect Michael Ventris, who would solve the riddle triumphantly at 30 only to die four years later under swift, strange circumstances that may have been a result of the decipherment itself. Linear B was one of the most tantalizing puzzles of any era, and for half a century, some of the world’s foremost scholars tried coax the tablets to yield up their secrets. Then, in 1952, the script was deciphered seemingly in a single stroke—not by a scholar but by Ventris, an impassioned amateur whose obsession with the tablets had begun in childhood. The decipherment brought him worldwide acclaim. But it also cost him his architectural career, his ties to his family, and, quite possibly, his life. That is the story of the decipherment as it has been known so far. But a major actor in the drama has long been missing: Alice Kober, a classicist at Brooklyn College. Though largely forgotten today, Kober came within a hair’s breadth of deciphering Linear B before her own untimely death in 1950. Yet, as The Riddle of the Labyrinth reveals, it was she who built the foundation on which Ventris’s decipherment stood, an achievement that until now has been all but lost to history. Drawing on a newly opened archive of Kober’s papers, The Riddle of the Labyrinth restores this unsung heroine to her rightful place at last. Above all, this book is a detective story in the tradition of Dava Sobel and Simon Winchester. 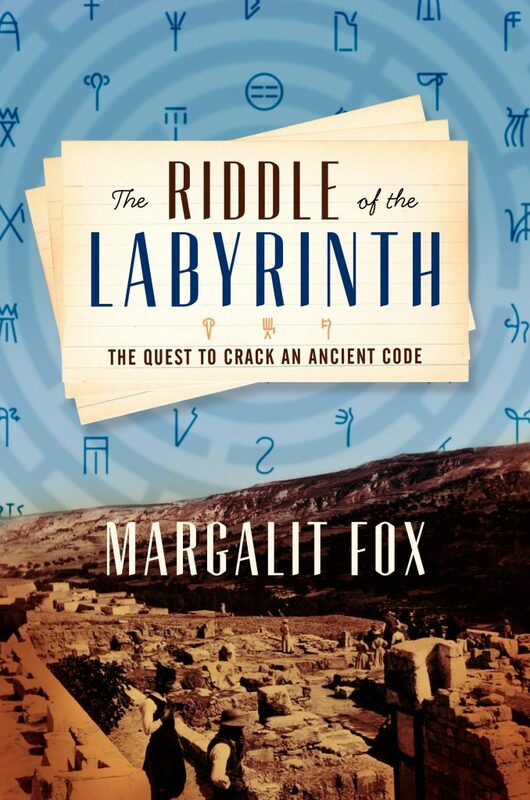 As she narrates the lives of Evans, Kober and Ventris, Margalit Fox takes readers step by step through the forensic process involved in cracking a secret code from the past. Following the three investigators as they hunt down, analyze and interpret a series of linguistic clues hidden within the script itself, The Riddle of the Labyrinth offers the first complete account of one of the most fascinating conundrums of all time.